(NewsUSA) - Identity theft is nothing new. It's been around longer than the Internet itself -- the process has just gotten more sophisticated. The long and the short of it is, no matter how hard we try and protect what's ours (personal information, credit card numbers and bank account information), the more evolved criminals have become at circumventing these defenses. To that end, it's never a bad idea to go over the newest forms of identity theft. Read on to find out how you may be (unwittingly) giving away your information and what you can do to stop it. In this case, you may be unknowingly handing over information. 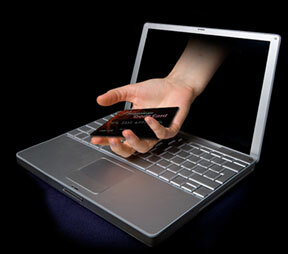 Consider this: information can be stolen from the databases of banks, and retailers, or other third-party entities. What this means is that every time you log onto a website and provide personal information, be it credit card, debit card or a password, you are potentially giving away information. Just like fishing, phishing uses a lure to catch its next victim. This often comes in the form of spam e-mail or a pop-up warning that looks like it came from a company you trust. For the 57 million adults that have experienced a phishing attack, they know that one click is all it takes. The truth? Legitimate companies will never ask for personal information via e-mail. Pharming happens when a cyber criminal cracks a vulnerability in an Internet Service Provider or DNS server and hijacks the domain name of a well-known site. Anyone going to the site is then redirected to an identical, but bogus site. Personal information is then collected, which is used to log onto the genuine website. Spyware is technology that surreptitiously gathers information by logging all of your keystrokes, or by using Trojans to collect information from your computer when you click on a pop-up ad or view spam e-mail. While it may seem impossible to protect yourself, there are companies that have made it its mission to defend consumers. VirnetX, for instance, a security and software company has created Gabriel, a set of secure communication apps derived from a U.S. Department of Defense project. Gabriel transmits information using automatic virtual private networks with military-grade encryption -- think Cryptograms. In this way, your data and communication is invisible to hackers. Gabriel offers its users secure mail, messaging and free voice and video calls. Gabriel Collaboration Suite is free to try. For more information, go to www.gabrielsecure.com or the Google Play Store. Stop hackers with U.S. Dept. of Defense Technology.